Staines, Wiley & Schutz LLC is an organization of competent and committed professionals dedicated to delivering high quality accounting, tax and consulting services. Our philosophy is based upon a complete commitment to client service. We work in partnership with clients to help them achieve their professional and personal goals. Our role is to assist clients in planning for their futures while meeting their current business and tax needs. 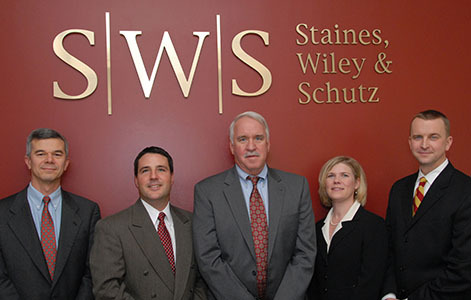 With more than 75 years of combined experience, the members of Staines, Wiley & Schutz, LLC possess the necessary expertise to advise clients through the many challenges they face, while maintaining a "small firm approach" which allows for the development of valuable client/professional relationships. We strive to the be the advisor you trust most. Please review our website and member profiles. Contact us with any questions about how we can help you achieve your goals. © 2019 Staines, Wiley & Schutz, LLC All Rights Reserved.